In your typical central air conditioning system, the condensation formed by the system will fall into a conveniently placed condensate pan. A drain connected to the pan whisks all the water away, and you’ll never have to deal with it. With a ductless system, the problem is that the unit mounted on your wall is the one that creates this condensation. Since it wouldn’t be possible to fit a pan under these units, they instead rely on a condensate line to drain the water outside. If the mold and bacteria grow in the condensate line, it can create a clog. Left unchecked, this can cause some water damage to your wall and, in an extreme case, cause the unit to fall off of the wall. Luckily, you should be able to notice this before it gets close to happening. Turn off the unit and call for air conditioning repair in Avon, OH immediately. This problem is not unique to ductless systems, but it’s important to keep in mind. Similar to the condensate line, the refrigerant line for a ductless system is fed through the walls all the way to the outdoor unit. This means there are more potential areas for problems, and they won’t be so easy to spot, especially if they’re behind the walls. Without seeing it for yourself, one way to tell if you have a refrigerant leak is by noticing if the cooling power has decreased. 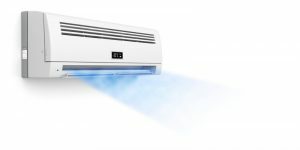 Although there can be a couple causes for decreased cooling power, leaking refrigerant can be common if your unit is more than a few years old. Speaking of decreased cooling power, one cause of that could be a burnt-out or damaged fan motor. The fan is the only thing pushing cool air out into the room, so a busted fan should have an immediate and obvious effect on your cooling power. Aside from the obvious reason that a broken fan means your room won’t get cool, another reason to fix a broken fan ASAP is due to the possibility of freezing coils. If the cool air in your unit can’t expel itself, it will bring the temperature so low that the evaporator coil will start icing over. This will prevent refrigerant from flowing through the AC properly and can lead to more serious problems if left neglected. Don’t wait any longer to take care of your AC repair issues! Contact Westland Heating & Air Conditioning today.